We’ve all seen them ─ the cars that fly past all the others on I-85 through Charlotte, weaving in and out of traffic like there’s a maniac behind the wheel. Then there are those drivers rushing down neighborhood roads, going way too fast for conditions where children could chase a ball into the street at any moment. Then there’s the moment when one of those speeding drivers hits you and ruins your life. At Warren & Kallianos, PLLC, our experienced Charlotte car accident lawyers are committed to demanding maximum compensation for people who have been injured in crashes caused by speeding drivers. If you or a family member has been hurt in a crash caused by speeding, call us today. 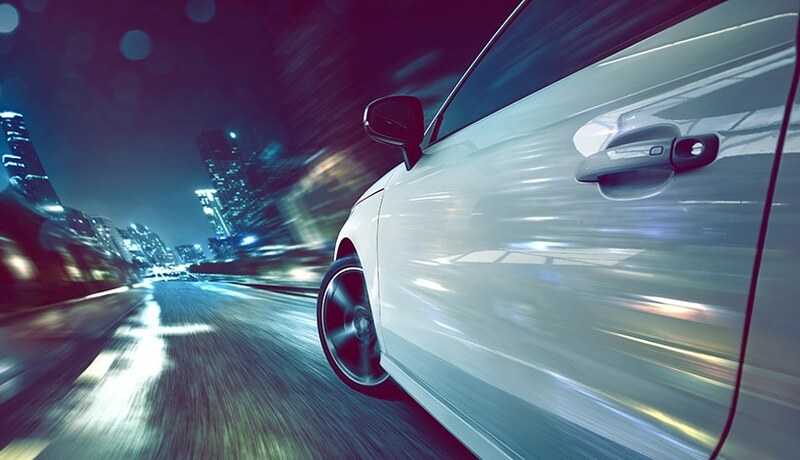 The Insurance Institute for Highway Safety (IIHS) reports that speeding was a factor in 27% of traffic fatalities nationwide in 2016, as it has been a factor in about a quarter of all traffic deaths since 2007. Anyone who has ever driven a car knows when he or she is driving too fast for conditions. Unfortunately, the miscalculation that many speeding drivers make is that they believe that they have much more control over their vehicle and the situation than they do. When you are on a highway that is populated with other vehicles, it is impossible to calculate for the unknown. A speeding driver sees an open stretch of roadway and decides to press down on the accelerator without knowing that a car might move into his/her lane to avoid colliding with another vehicle on the right and disaster occurs. Speed has a huge impact on the risk of crashing and on the severity of the injuries and the odds of a fatality. Cars need to keep a safe braking distance between them and the vehicle ahead of them to allow for reaction time between when the brain registers that evasive action is needed and the time it takes to slow down or move the vehicle out of the path of danger. A crash occurring between vehicles traveling at speed faster than 60 miles per hour will be far more devastating than a crash at 40 mph or lower. A thorough investigation is key to building a strong car accident claim after a speeding crash. As part of your claim, our attorneys will also gather evidence that shows the extent of your injuries and how your life has been affected so we can demand the full and fair compensation you deserve. Drivers should not operate their vehicles in excess of the posted speed limit. Drivers should not operate vehicles “at a speed greater than is reasonable and prudent” under the conditions (such as poor road or weather conditions). Drivers who are going more than 15 miles per hour over the highway speed limit or over 80 miles per hour are guilty of Class 3 misdemeanors. Drivers who speed in highway work zones face additional penalties. Drivers of commercial vehicles such as large trucks may require special permits that limit their speed beyond the posted speed limits. These drivers may be guilty of Class 2 misdemeanors if they are driving 15 mph or more above the permitted speed limit. Speeding tickets, fines, and other penalties levied by the state are meant to punish the driver for breaking the law. However, for victims who were hurt by speeding drivers, justice must be sought through a personal injury claim. Unfortunately, even the most conscientious drivers can be hurt by a speeding motorist who has no regard for the law or other people’s safety. When that happens, these innocent people deserve justice. Do I Need to Hire a Charlotte Car Accident Attorney to Handle My Case? While you aren’t required to get help from an attorney, most car accident victims do better when they work with an attorney. Studies have repeatedly shown that accident victims usually end up with more compensation when they retain a car accident lawyer. Perhaps more important than dollars and cents, hiring a Charlotte personal injury attorney allows you to relax instead of worrying about dealing with insurance adjusters and the legal system. Your attorney will handle all communications with the insurance companies, including settlement negotiations. Your attorney can also make sure that all relevant evidence and other information and/or documents to substantiate your claim are obtained and provided to the at-fault party’s insurance company. If you feel that paying attorney’s fees are a concern, don’t worry. The law firm of Warren & Kallianos charges no upfront legal fees. In fact, you pay nothing in attorney’s fees until we recover compensation for you. Then the fee is deducted from your recovery based on an agreed-upon percentage. There is no risk on your part and you are never left to pay an attorney’s fee out of your pocket. If you are struggling to recover from a serious injury after being hit by a speeding driver, you need to speak with our aggressive Charlotte speeding accident attorneys today. For years, car accident victims throughout Charlotte, Mecklenburg County, and across the state have counted on our dedicated attorneys to fight for their rights to maximum compensation. We offer a free initial consultation to discuss your situation in detail. In addition, we accept all cases on a contingency basis, meaning you owe us no legal fee if we do not secure compensation for your injuries. Call 704-275-5593 or contact us to get started.